Kapha governs all structure in the mind and body. It controls weight, growth, and lubrication for the lungs and joints. To eleaborate with an analogy, if you take a jar and fill it halfway with water and then add sand, the sand will gradually sink to the bottom of the jar, separating it from the water. The only way to keep the sand in tandem with the water is by mixing the mixture constantly. At the end of the test, you will know if you are a dominant Ayurveda Kapha, Vata or Pitta. Kapha is the steady energy that keeps the water and earth together. Now, what if you don’t feel this way? What if you don’t feel reliable and dependable? There is a good chance that you are imbalanced in the areas of your health and mind. The Ayurveda definition focuses on achieving balance in your body. 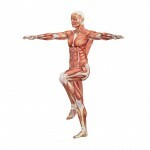 Kapha is responsible for the physical structure and maintaining the body’s resistance. It lubricates the joints, provides moisture to the skin, helps to heal wounds, fills the spaces in the body, gives physical strength, and maintains your immunity level. What Are The Qualities Of The Ayurveda Kapha? You remain calm even in the face of pressure. You tend to be thoughtful, loyal and loving. You enjoy life no matter what problems you’re facing. You are strong and steady. Do you possess these positive emotional characteristics? If you do, then you’re in good shape as an Ayurveda Kapha. If not, then you’ll need to make some changes in order to enjoy better health! Do You Need To Practice Ayurveda? Ayurveda is about achieving balance. Do you have an imbalanced body? An imbalanced body can physically lead to a few conditions such as lethargy, weight gain, congestion, asthma, prolonged sleep, excessive oiliness, blackheads, acne, cysts, water retention, and swelling. Psychologically, emotions of attachment, greed, long-standing grudges, depression, or envy can emerge. A Kapha can also be withdrawn, possessive, and greedy. Some factors that disturb a Kapha body type can be the lack of activity or exercise, improper diet, cold winter weather, and seclusion. Do note that these are generalized descriptions. Get active on a daily basis. Expose yourself to new sights and sounds. Choose foods that are spicy, light, and warm. Avoid heavy, oily, and processed sugars, which are a weakness with Kaphas. Use spices when cooking such as ginger, cumin, chili, black pepper, and lots of bitter dark greens.